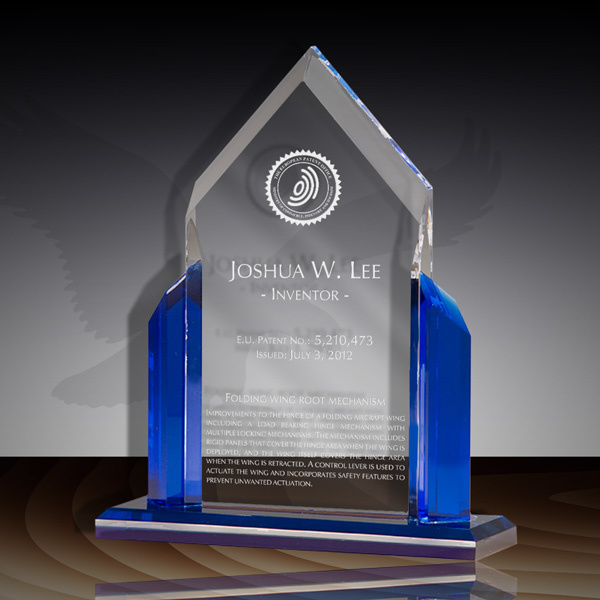 A unique sapphire blue acrylic patent desktop award. 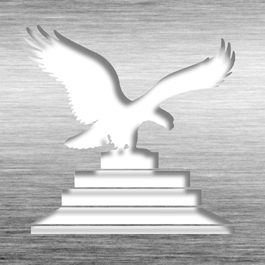 This sophisticated corporate designed acrylic is perfect for all countries to recognize a patent's issuance. It features a thick clear etched acrylic that rests in a sturdy sapphire blue acrylic base. 6" x 7 1/2" or 8 1/2" or 9 1/2"
This Patent Award - Acrylic Desk Sapphire TA6-927 is part of our Patent Desktop Award Series of products, check out other products & options available in the Patent Desktop Award Series of our selection. This Patent Award - Acrylic Desk Sapphire TA6-927 can be modified to your requirements and is available for your corporate award programs.